Jack Calabro is a Management Consultant with F&H Solutions Group. Jack specializes in management assessment and counseling, employee and labor relations, acquisition and merger analysis, business start-ups, executive coaching and change management. Jack uses his significant corporate background while serving as chief negotiator in collective bargaining disputes. In addition, he brings substantial international business expertise stemming from his work in countries such as Australia, Brazil, Canada, France, Germany, Japan, the Netherlands, Switzerland, the United Kingdom and Venezuela. 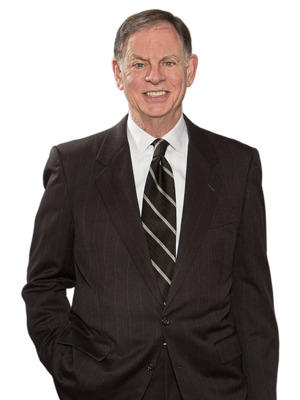 Prior to joining F&H Solutions Group, Jack served as corporate vice president of human resources for Illinois-based DeVry Inc. During his tenure, he was actively engaged in acquisitions such as the Ross University Colleges of Medicine and Veterinary Medicine, the Deaconess College of Nursing, and Becker-Conviser Professional Reviews. He also led change management initiatives that resulted in substantial internal growth for DeVry. As the first human resources executive to be hired as a corporate officer, Jack developed a strategically focused human resources department to support the company’s rapid expansion. Jack also served as vice chancellor of The City Colleges of Chicago, the United States’ third-largest community college system. In addition, he was a vice president for Helene Curtis Industries and a senior officer with Zurich-based Alusuisse of America, the parent of the former Chicago-based automotive parts manufacturer Maremont Corporation. He also served as a member of Maremont’s Management Committee. He was a member of the Executive Committee and president of Urban Gateways, one of the nation’s leading arts education organizations. Jack spent more than 10 years as an officer and a board member of Norwegian-American Hospital, one of Chicago’s oldest inner-city hospitals. He also was a mediator for the Illinois Employees Grievance Panel. He is an active member of the Economic Club of Chicago, the Chicago Council for International Relations, the University of Illinois and the Urbana Advisory Board. In 2013, Jack was appointed to the Advisory Board of the College of Business at the University of Illinois, Chicago to help advise the Dean of the College on various matters by providing counsel and satisfying specific objectives and goals established by the Dean. Jack received his bachelor’s degree in liberal arts from City University of New York. He earned his master’s degree in labor and industrial relations from the University of Illinois, Urbana, where he also served as a graduate research and teaching assistant.